A breaking human clinical trial reveals that an extract from cocoa is actually more effective than fluoride for treating dental hypersensitivity. The study conducted at University of Texas Health Science Center in San Antonio examines the effects of a cocoa extract Theobromine against fluoride-based toothpaste on tooth hypersensitivity. 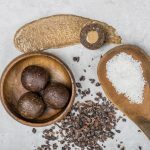 The clinical trial found that naturally occurring cacao extract Theobromine, actually works better than fluoride to restore and repair enamel and occludes dental tubules, ultimately eliminating hypersensitivity in just seven days! 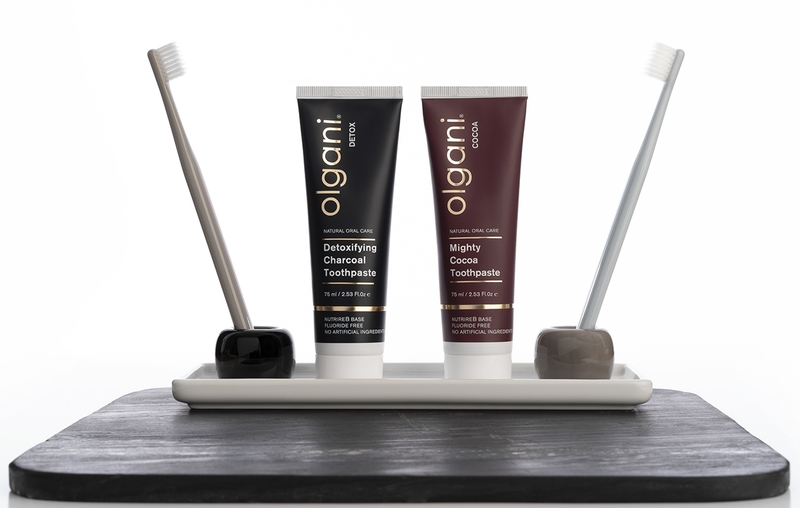 Olgani new Mighty Cocoa Toothpaste uses whole cocoa in its formulation, as it is rich not only in Theobromine but a multitude of minerals and vitamins. The addition of raw organic turmeric and liquorice extract provides additional support against bacteria responsible for tooth caries. Charcoal prevents tooth enamel staining and essential oils of sweet orange and peppermint give it its chocolatey taste and aroma. Olgani Mighty Cocoa Toothpaste offers an effective natural alternative for tooth sensitivity prevention to those consumers wanting to use a non-fluoridated product. NutrireB by Olgani™ is a blend of sea salt, rice flour and coconut oil and is used in all their toothpaste formulations as a way to exclude glycerine. The result is a smooth texture with a gentle, cleansing action that’s non-abrasive and assists in delivering essential nutrients. 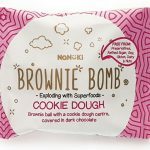 All ingredients are from a natural origin including: water, cocoa, rice, Himalayan Salt, Coconut Shell Activated Charcoal, Liquorice, Turmeric, Coconut Oil, Peppermint Oil, Sweet Orange Oil.